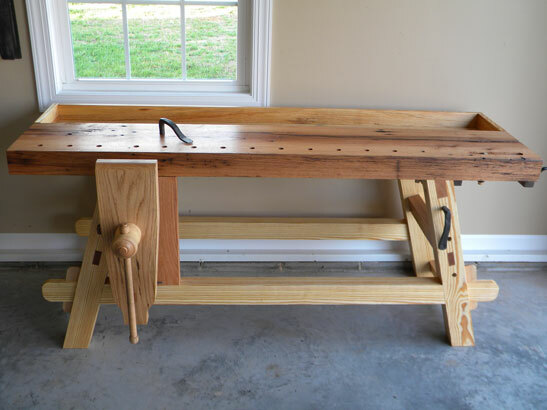 Adding our June 2012 Workbench of the Month from Will Myers of Boonville, North Caroliina to our Lake Erie Toolworks Blog for ease of access and historical awareness. We have a special edition Workbench of the Month to feature for June 2012. 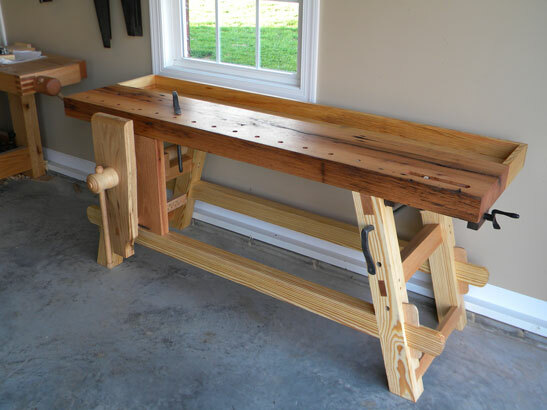 Will Myers of Boonville, North Carolina is now officially a two-time winner of the Lake Erie Toolworks – Workbench of the Month feature as he was previously our February 2012 workbench winner. That said, Will has now built a Moravian styled workbench that has a custom turned hub. 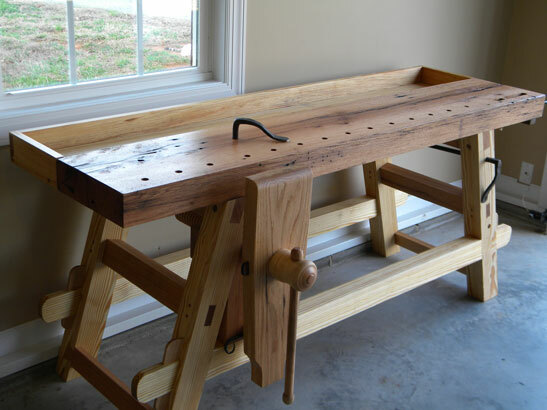 Below, you will find a couple of email comments from Will regarding the vise screw as well as the direct link to his documented construction of this tremendous bench. We hope you enjoy this bench as much as we do. The screw arrived today, you have outdone yourself. You did a wonderful job of matching the screw on the old bench. I am writing an article on this bench as well for WK fine tools. I will send you a link when it is up so you can see the finished product. Thanks for all your help! I finally completed the Moravian bench I was working on. The custom turned screw you made looks great! I have attached some pics of the finished bench. 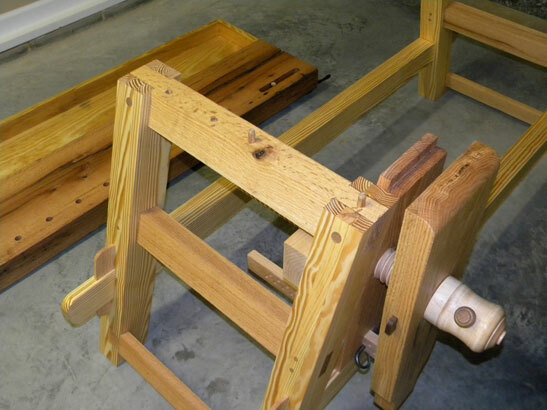 You can also check it out on wk fine tools here:http://www.wkfinetools.com/tMaking/art/moravianBench/moravianBench-01.asp. I have attached some finished pics. Thank you for all the help, It really helped make this project.